Welcome to 2 Proby Gardens. 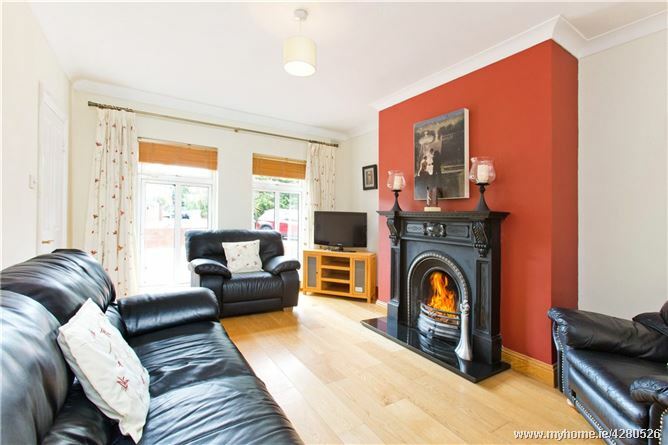 Situated in a quiet residential enclave just off Carysfort Avenue is this superb three bedroom semi-detached home. Presented in very good decorative order throughout, turning the key will be the sum of the purchasers' efforts. Measuring 125 sq m/1,345 sq ft approximetly (including the garage) this fine residence boasts generous proportions throughout and very well appointed living and sleeping accommodation. Upon entering no.2 you are instantly welcomed by a feeling of light and space. The accommodation comprises an entrance hall off which is a guest wc. 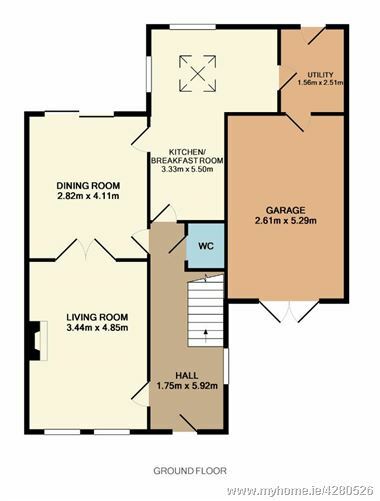 Also at ground level is an inter-connecting living/dining room with access to the rear garden, a kitchen/breakfast room and utility room. The adjoining garage is perfect for storage and could be converted if required (subject to relevant planning permission). Rising upstairs, there are three double bedrooms, the main bedroom boasting a feature bay window and ensuite shower room. A family bathroom completes the first floor accommodation. 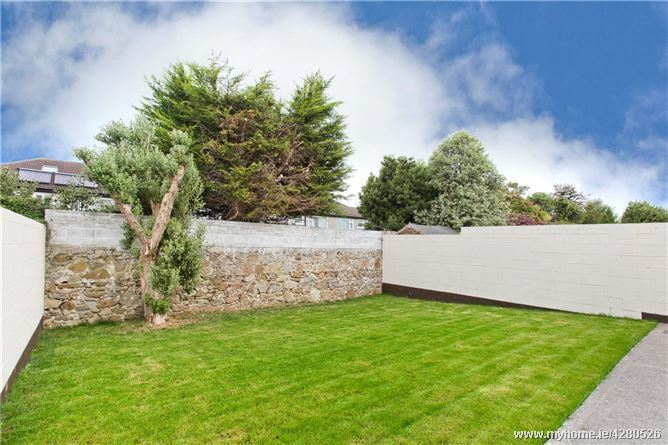 The location is fantastic within a short stroll is Blackrock village which features two shopping centres, restaurants, bars and other social amenities including coastal walks, Blackrock and Carysfort Park. 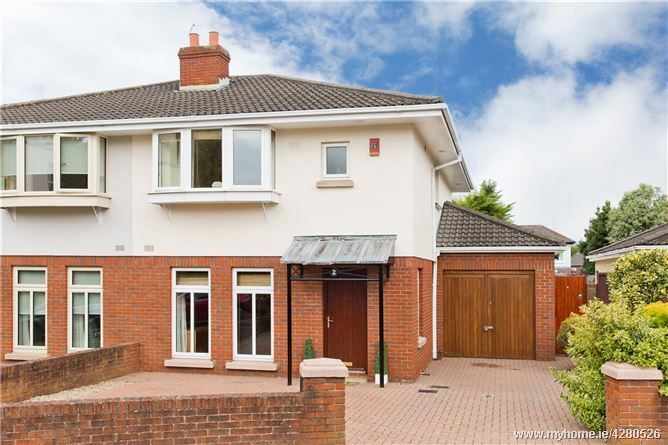 Within the locality are excellent schools including Carysfort National School, Willow Park, Blackrock College and St. Andrews College to name but a few. UCD Smurfit business school is located within a short stroll. Public transport is also well catered for with the DART at Blackrock station and several Dublin Bus links providing swift access to and from the city centre. 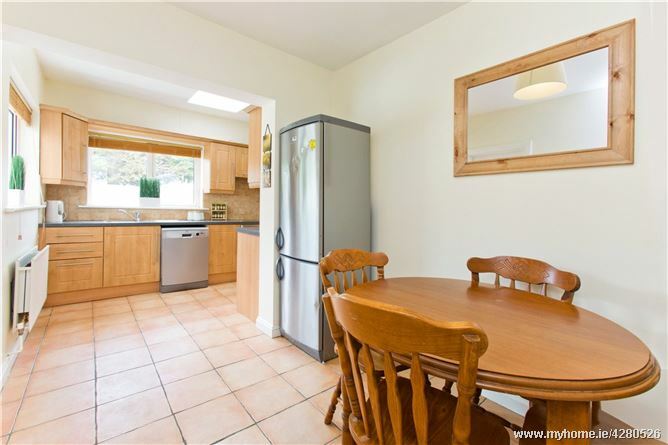 This wonderful property is sure to appeal to a multitude of buyers from growing families to those trading down given the excellent location close to a wide range of amenities. Entrance Hall 1.75m x 5.92m. Spacious and bright with solid wood floor and access to under stairs storage. Dining Room 2.82m x 4.11m. With wood floor and sliding patio door to garden. 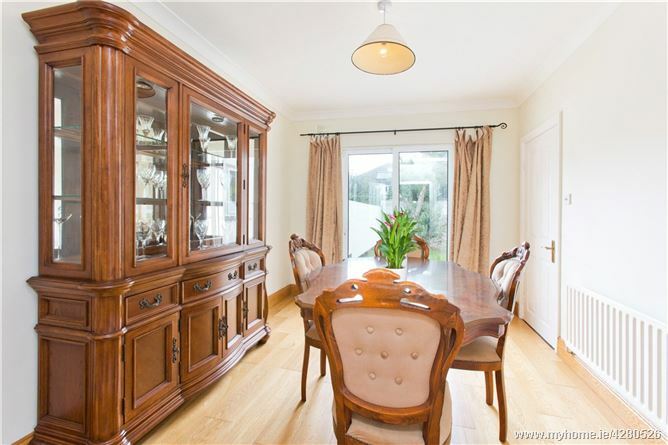 Kitchen/Breakfast Room 3.33m x 5.50m. With tiled floor, wall and floor level units. Provision for fridge, plumbed for dishwasher. Utility Room 1.56m x 2.51m. Plumbed for washing machine, Door to rear garden and garage. Garage 2.61m x 5.29m. Ideal space for storage, double doors to the front driveway. Bedroom 1 2.71m x 3.88m. 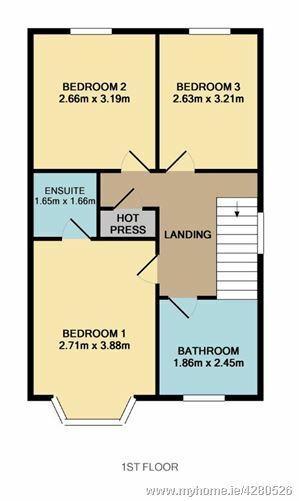 Good double bedroom with built in wardrobes and feature bay window. Ensuite 1.65m x 1.66m. Shower, heated towel rail, wc,wash hand basin, tiled floor and Velux window. Bedroom 2 2.66m x 3.19m. 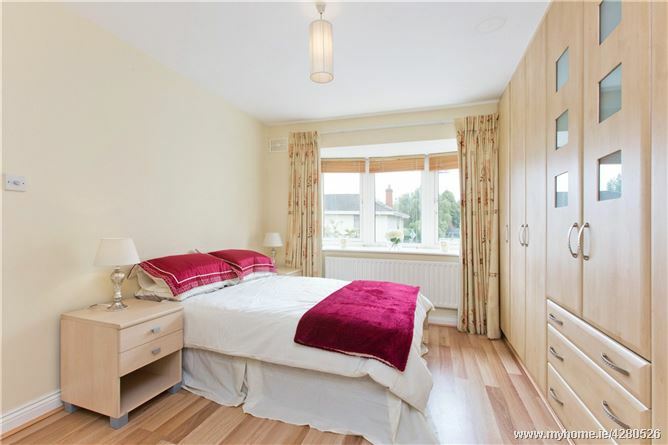 Double bedroom to the back with polished flooring. Bedroom 3 2.63m x 3.21m. Double bedroom to the back with polished flooring. Bathroom 1.86m x 2.45m. Tiled walls and floor, wash hand basin, bath unit and wc. Driving from Blackrock village, go up Carysfort Avenue. Continue straight up the road and travel through the traffic lights. Take a left onto Proby Square and in a few hundred metres turn left again. No. 2 is the second house on your left.